I spent the best part of a day the other day looking for cheap accommodation in Berlin. I need to find somewhere for an apartment-hunting visit in mid-November. We don’t have great demands on the accommodation as we expect most of our time will be spent on S/U Bahns, travelling to apartments and viewings. I searched through dozens of places – checking costs alongside facilities, availability alongside location. 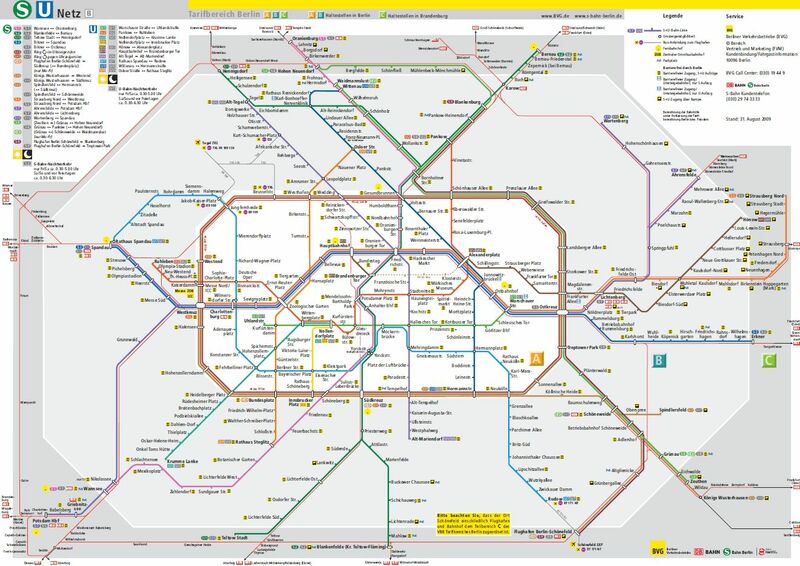 Throughout the process I had the pdf of Berlin’s public transport map open. I love that map. Of course, it’s based on Harry Beck’s revolutionary London Underground map design – most metropolitan transport maps are. But it’s not the map design that gets me (though I love that too – respect to Harry), it’s what the map covers that excites me. As my previous post describes, we’re wrestling with the tricky issue of where to live. As I scan the transport map, it’s all so new and interesting. But when you live somewhere, things like transport become utterly routine. You fail to notice them. At the moment, before arriving in Berlin, I’m wondering which of these stops and bahnhofs will become familiar. Familiar to the point of mundane. When I lived in Manchester, I can’t imagine the number of times I caught the bus into the city and back to Withington. Thousands probably. You jump off the bus, remember you need milk and do a detour to the mini-market or shop – in the dark in winter, in the light in summer. When I step off the Berlin tram, tube or bus, what shops might be nearby? Will it be a supermarket or an off licence? Will I pop in for a few beers on Friday night or be grabbing something for breakfast. Or will the bahnhof drop me off 10 minute’s walk from home along dark empty streets? There’s also a 24 hour map for transport. These are the services that run all night. I don’t suppose I’ll use these everyday but there will certainly be nights out. Or maybe I’ll be coming home after a shift in a bar? Getting to know the map is an exercise in anticipation. What will life be like in Berlin? Where will we live? What will we be doing? The map also represents another key element of a year in Berlin. Every city can be judged on its public transport. One of the most important jobs that any place has to do is to ferry its citizens around. Citizen A needs to get to Point B. If enough citizens fail, the area falters. As public transport goes, Manchester is patchy. Cumbria is, well, Cumbria. After a year of using Berlin’s transport system, I may love or hate it. 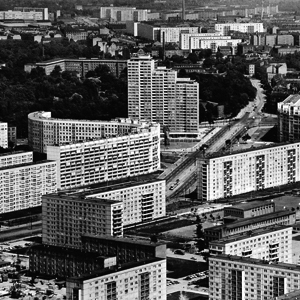 It might be a big plus or a massive failure but it’s important to learn about real Berlin. This obviously goes for more than just the transport system. I may get sick of the trendy bars. I may get bored of Berlin’s pseudo-creative people. I could get tired of anything, but that’s exactly the point. If, after my year, I find that Berlin is not the city I thought it was, that’s great. I’ve learned something. If I come back to the UK in 2012 with a new appreciation of English life, that’s the point, and that’s okay. If I can’t stand the sight of the transport map after 12 months – 12 months of getting lost on unreliable services, slow trains, expensive tickets, unhelfpul staff and poor information services that’s okay too. But at the moment, the map represents getting around a city I can’t wait to know better. This entry was posted on 01/11/2010 by hawkinsian in Uncategorized.